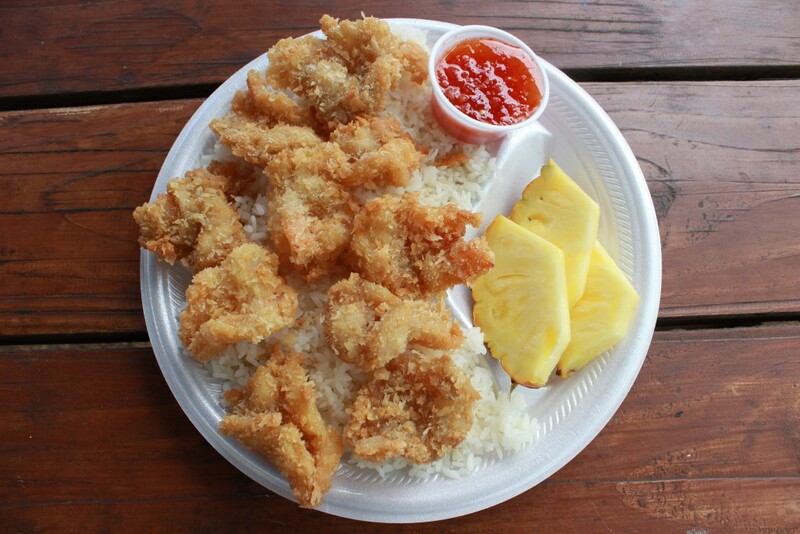 The Freshest Shrimp With The Biggest Crunch! First, mix the flour and 1 cup water together. Then stir in the sugar. Put the shrimp into the batter and thoroughly cover. Remove the shrimp and put into a mixing bowl that contains the panko and cover the shrimp with the panko. Heat the soybean oil in a large, heavy pot to about 350 degrees F. Fry the shrimp until golden brown and crispy, about 4 minutes. Serve with the dipping sauce.